Arsene Wenger confirmed he expects Alexis Sanchez’s future to be resolved imminently after the Arsenal forward was left out of his side’s 2-1 defeat at Bournemouth. 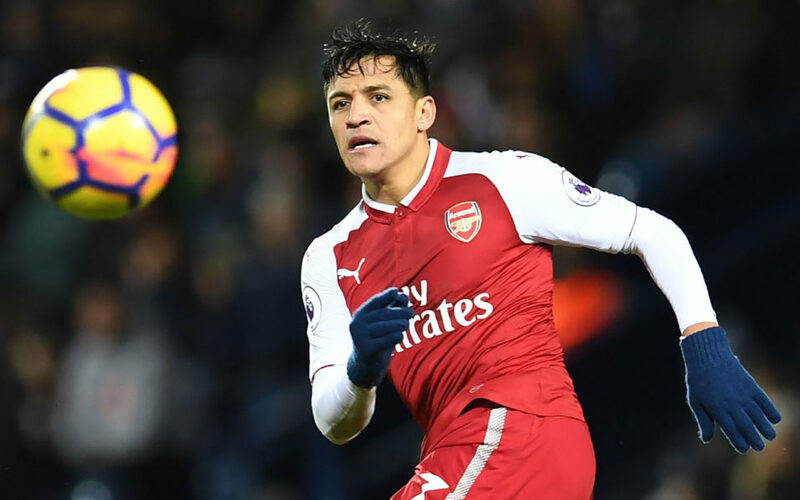 Sanchez, who becomes free agent at the end of this season, is a target for Manchester United and Manchester City who came close to signing the Chile international on the final day of the last transfer window. United have emerged as strong contenders because of their willingness to meet Arsenal’s £35 million ($48 million, 39 million euros) asking price, with the possibility of Henrikh Mkhitaryan being included as part of any deal. Wenger insists all options remain open but felt unable to select the player for the visit to the Vitality Stadium although he insisted Sanchez was willing to play. “Alexis would have played,” said the Arsenal manager. “But it’s a difficult period for him. He’s always been committed until now but he could have moved yesterday, today or not. Wenger, who criticised his side’s lack of cutting edge as they squandered a number of chances before allowing Bournemouth to recover from falling behind to Hector Bellerin’s opening goal to win through strikes from Callum Wilson and Jordon Ibe, insisted he would recruit a new forward to replace Sanchez if the forward left. “Look, if Sanchez goes we need to replace him,” he said. “I say when you look at today, we missed many players in our squad. And you say that they have a weight in the team. Arsenal have been linked with a £35 million move for Bordeaux forward Malcom but Wenger refused to confirm his interest in the Brazilian. Bournemouth moved up to 13th place, four points clear of the bottom three on the back of the win, and manager Eddie How praised the contribution of match-winner Ibe who scored his first league goal for the club, 18 months after arriving from Liverpool. “I’m really pleased for him,” said Howe. “He’s been knocking on the door recently, hit the woodwork, his numbers are very good for him this year and I’m really pleased that’s out of the way for him now and hopefully it can be the first of many. “I just think it is another thing he can take confidence from. I genuinely believe he can have a major impact at this level. I think he has with his general performances recently but of course you need that feeling that only scoring can give you.